The European Union’s new 2030 climate and energy targets create uncertainty for for automakers because they let member states decide whether to include transport pollution in the EU’s carbon emissions trading system. Such a move would force fuel suppliers to take part in Europe’s cap-and-trade system. This might result in higher fuel costs being passed along to car buyers. Automakers are probably breathing a sigh of relief that a Danish proposal to include transportation emissions in the EU’s carbon credit trading system didn’t survive the European Council meeting last weekend. ACEA’s position is that EU regulators shouldn't attempt to pick winners by mandating any specific technology. Instead, they should build a framework and let the market decide. “In more general terms, ACEA believes that any new CO2-reduction policy should be cost-efficient, technologically neutral and balanced in achieving the aim of reducing CO2. It is important for our industry that we can now focus on getting the current targets properly implemented, which already proves challenging enough,” ACEA Secretary General Erik Jonnaert told Automotive News Europe in an email reply to questions. But leaving the door open for individual governments to include them creates the risk that countries such as Denmark will push ahead on their own. “That decision to allow specific member states to go ahead creates the risk of an eventual EU-wide decision,” said William Todts, a senior policy officer at Brussels-based clean-air lobbyist Transport & Environment. Europe’s car industry is already the world leader in fuel efficiency because of the EU’s carbon emissions standards, which created a level playing field for emissions reduction while setting challenging targets and a timetable. The CO2 standards have been a major incentive for carmakers to invest in low emission powertrains, which in turn they launch in other markets. Volkswagen, for example, recently said it would launch more than 20 electric vehicles and plug-in hybrids in China by 2018. But the EU’s carbon trading system, or ETS, in which polluters are “allowed” a certain emissions level and have to buy “credits” if they exceed it, has not caught on in countries like the U.S. Adding tailpipe emissions to the system would not affect automakers directly, Todts said. Currently, power suppliers are the “regulated entities” that participate in ETS. The auto industry would be added to the ETS by including oil companies along with fuel suppliers. Transport emissions, despite Europe’s automakers’ strong track record, are a clean-air problem. Road transport contributes about one-fifth of the EU's total CO2 emissions. But slapping more taxes on fossil fuels, in the case of transportation, won’t help reduce pollution much, according to a study by Cambridge Econometrics. “Putting road transport in the ETS alone would result in just 1 percent efficiency improvement over the next 15 years at current ETS prices (6 euros per ton of carbon),” according to the study. Todts at T&E said that fuel-efficiency standards are a better way to meet carbon goals. 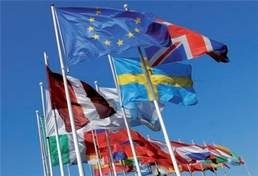 The three targets for 2030 agreed by European leaders Oct 24 are to cut greenhouse gas emissions by 40 percent compared to 1990 levels; to improve energy efficiency to 27 percent compared with business as usual; and to increase the share of renewable energy in the mix to 27 percent. Interestingly, these targets are much less ambitious than the ones set in 2009, when European leaders committed to reducing CO2 emissions by 80 percent to 95 percent by 2050. Overall, the modest targets may indicate that Europe is shifting its focus away from aggressive pollution reduction, for two reasons: 1) the ongoing recession and 2) Europe has realized that its climate goals are linked to energy security, at a time when relations with Russia (a major energy supplier) grow increasingly tense. Low-carbon technology is now couched in language on energy security. “The European Council also recognized that the EU’s energy security can be increased by having recourse to indigenous resources as well as safe and sustainable low carbon technologies,” the Council concluded at its Oct. 23-24 meeting.